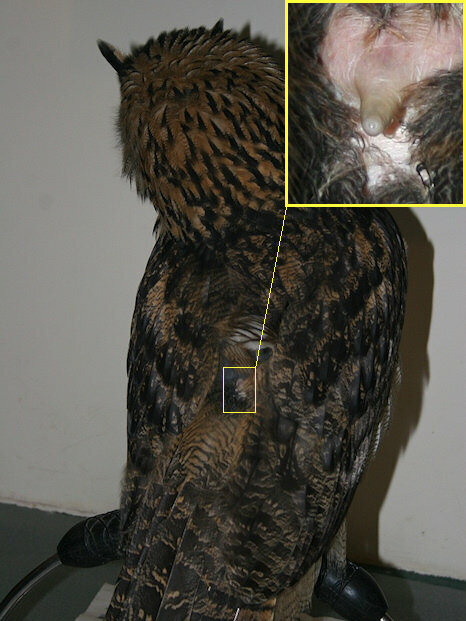 There is small gland called the uropygial, located at the base of the tail, that produces a thin oily liquid that is important for preening. This gland is stimulated by the beak, which is then used to transfer the liquid to the feathers to provide them with a protective coating. Image © Ian Berwick.